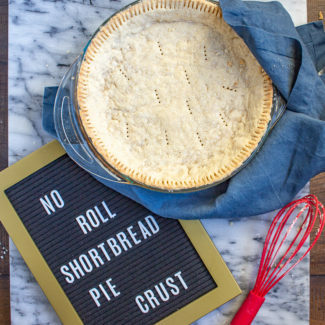 This 4 ingredient no roll pie crust recipe is the easiest way to make a pie crust from scratch! You mix up the ingredients in a saucepan and then press the dough into a pie pan to make this shortbread pie crust. 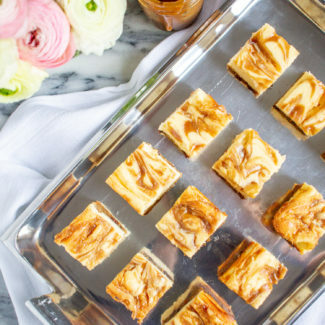 You can make this shortbread pie crust recipe in just 5 minutes. It is an easy foolproof no roll pie crust recipe that pairs really well with a wide variety of pie fillings. 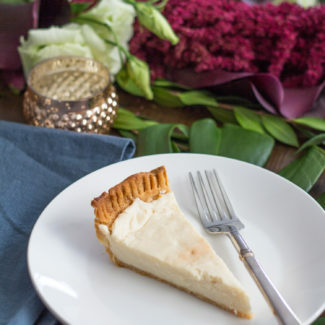 This shortbread pie crust recipe has been in my family for generations – it is what my grandmother used for her famed pumpkin pie recipe. I use it for pies including my bourbon butterscotch pie. 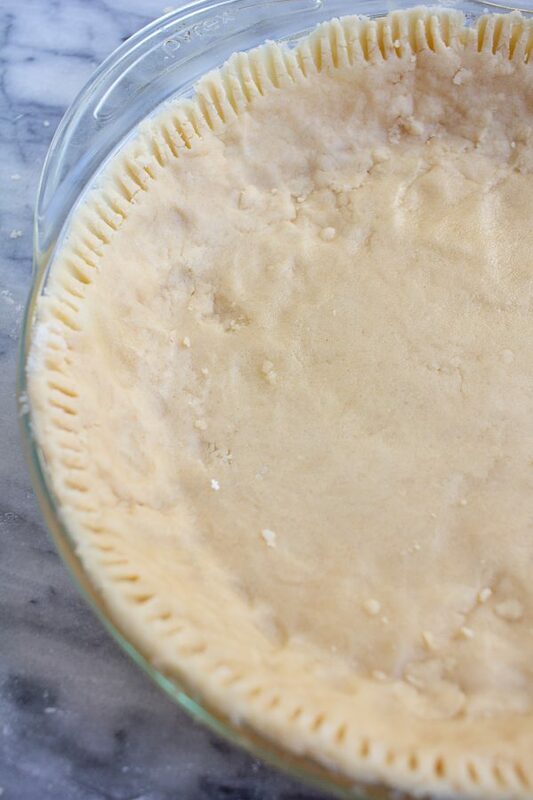 It has become my go-to pie crust recipe, especially since I always have all of the ingredients in my fridge or pantry. To make this pie crust you just need butter, granulated sugar, powdered sugar, flour, and a pie pan. 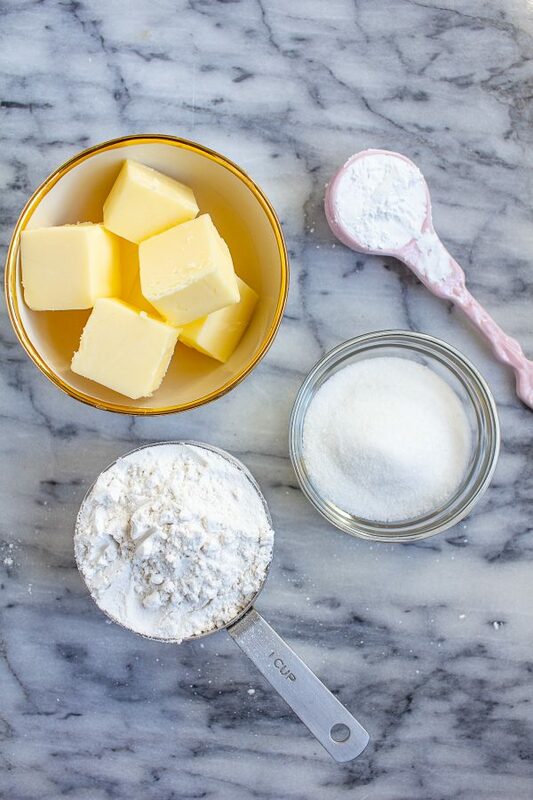 Any baker has these ingredients on hand at all times. 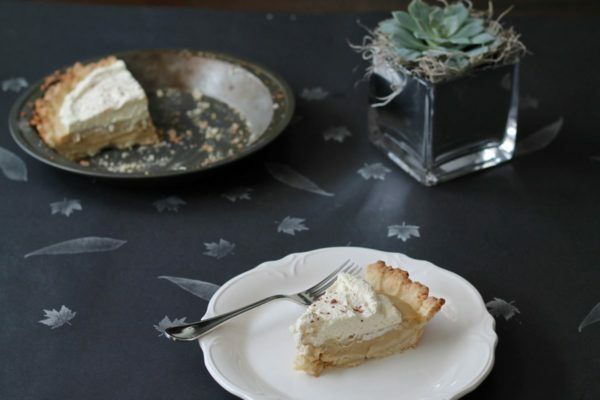 I love this shortbread pie crust recipe because you won’t make much of a mess making it. You just need a saucepan, a spoon, a pie pan, and utensils for measuring your ingredients. Less mess, less hassle. More time for eating delicious pie. Most pie crusts are painstakingly mixed together by hand or pulsed together in a food processor. It takes time, and can be a bit messy. 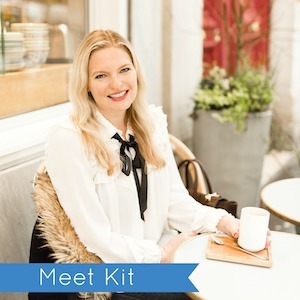 Rolling out the dough creates an even bigger mess – the flour somehow always ends up all over me and all over my house! 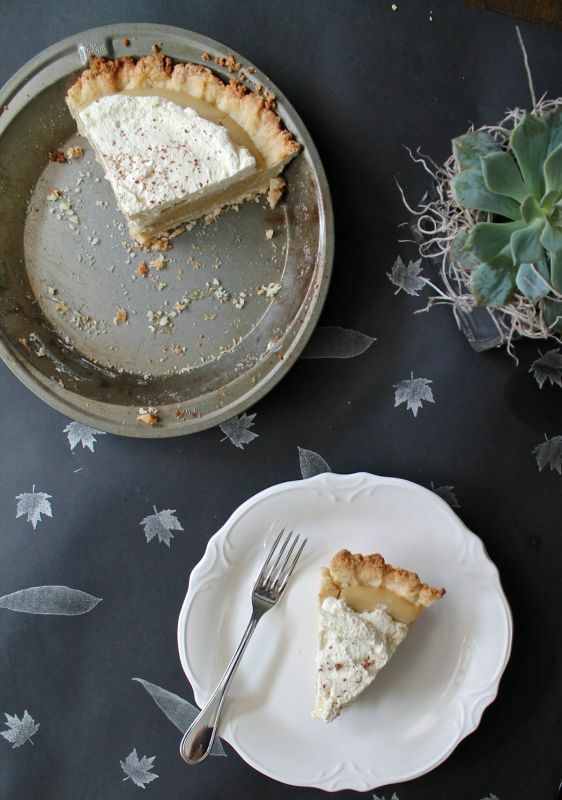 This shortbread pie crust recipe is different. 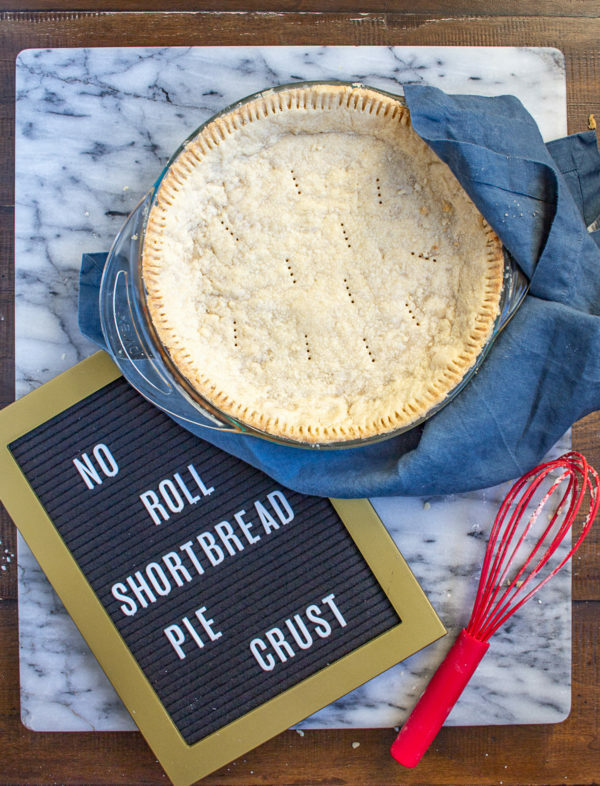 This is a no roll pie crust recipe! That means that once you melt the butter and mix all of the ingredients together you just use your fingers (or the flat end of a measuring cup) to press the dough into a pie pan. 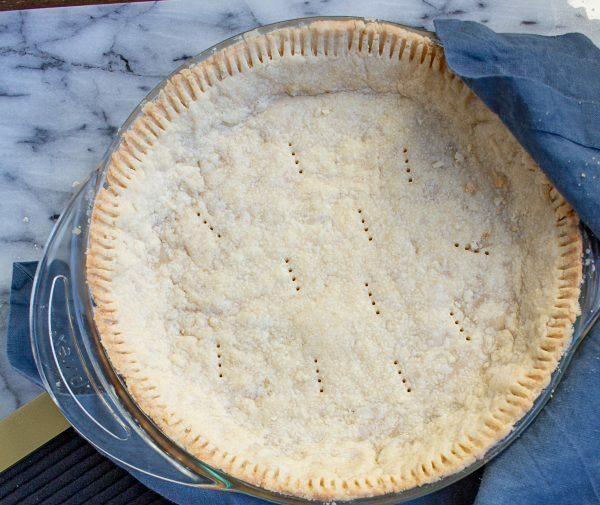 Since this is a shortbread pie crust, and it has a good amount of butter, you don’t need to worry about the dough sticking to the bottom of the pan. I use a glass pie pan and have never had any issues. I often use this recipe for no bake pie recipes, in which case I bake the pie crust before adding the filling. If I am making a pie that needs to bake in the oven, I do not pre-cook the pie crust. Note: My family has always used a 9-inch pie pan. Many pie pans are 8 inches, which means that if you use all of the dough you will have a thicker pie crust. 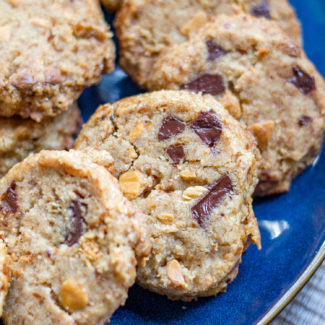 You could also set aside some of the dough and bake it like a cookie and eat it. 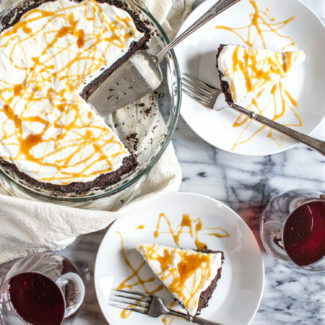 A pie filled with a rich creamy bourbon butterscotch custard. If you want to really go for it, add a layer of chocolate ganache. 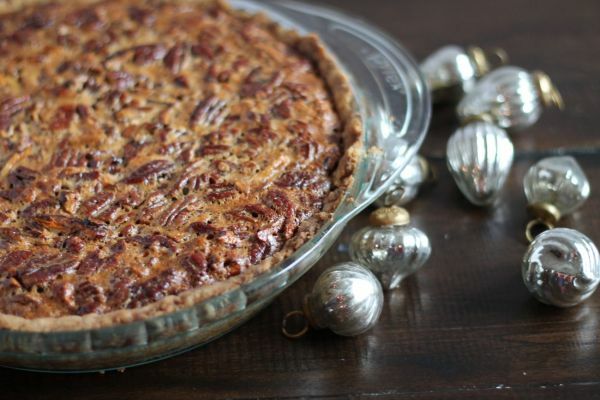 An easy to make recipe for a classic pecan pie. 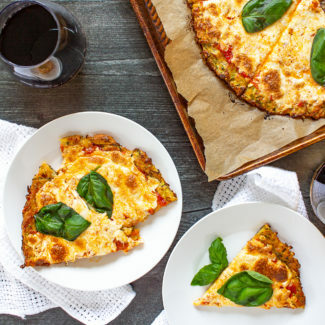 This is a great addition to Thanksgiving dinner. 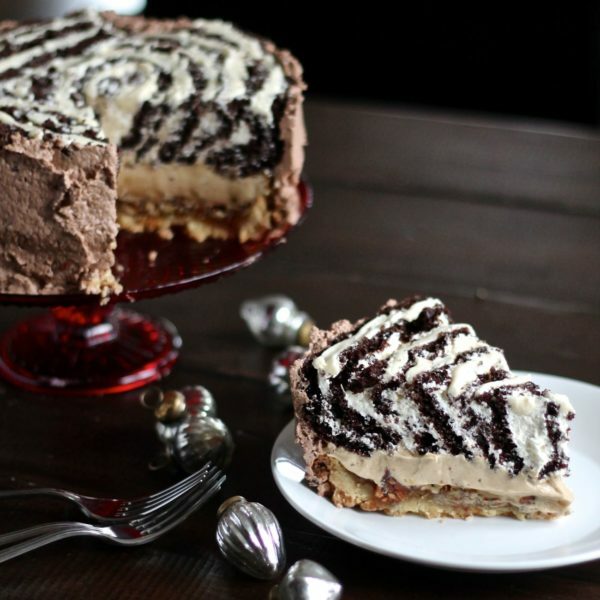 This over the top dessert combines the trifecta of desserts: cheesecake, pecan pie, and cake. It’s a showstopper, and a time commitment. 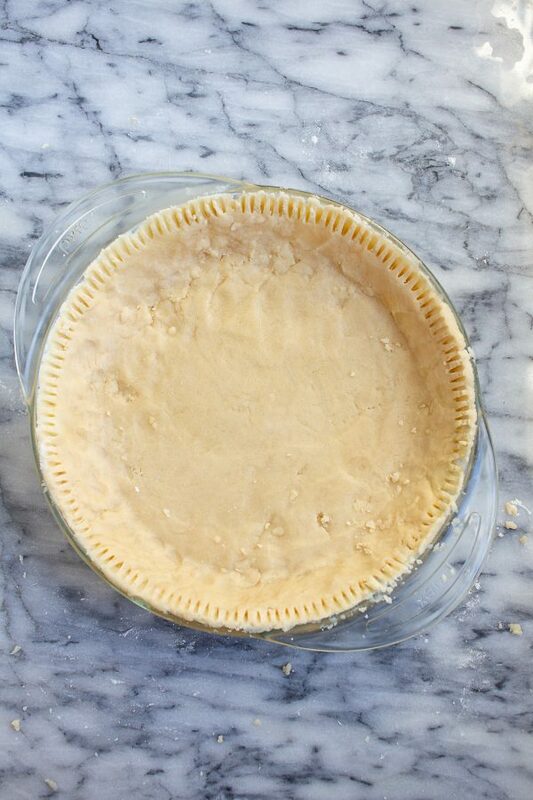 This is no roll pie crust recipe the easiest way to make a pie crust from scratch! You mix up the ingredients in a saucepan and then press the dough into a pie pan to make this shortbread pie crust. Melt the butter in saucepan. 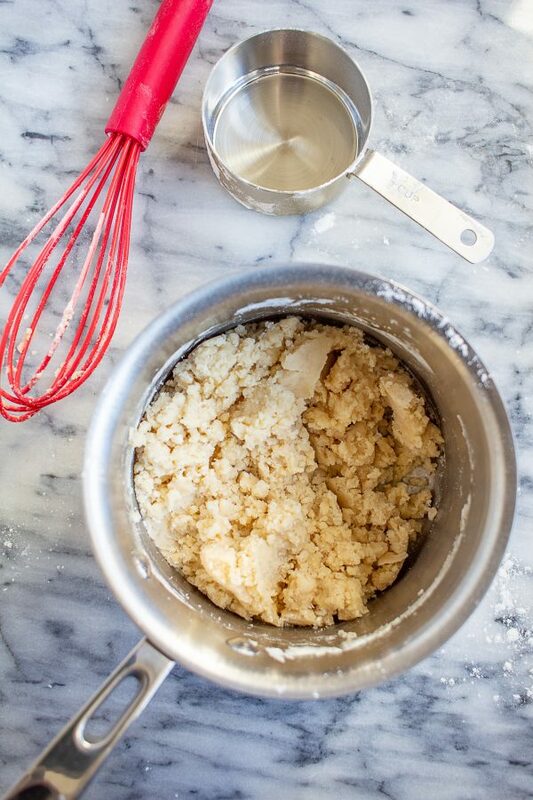 Once the butter has melted, remove from heat and add both sugars and stir to combine. Then stir in flour. You may want to let the dough cook for a little bit, but usually I find that it is too hot to handle right away. Press the dough onto the bottom and up the sides of a 9-inch pie pan. I like to prick the bottom of the crust so that it won't bubble up for crack. 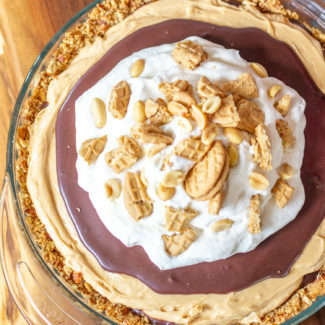 If using a no-bake pie filling, bake the pie crust for 15 minutes or until lightly browned. 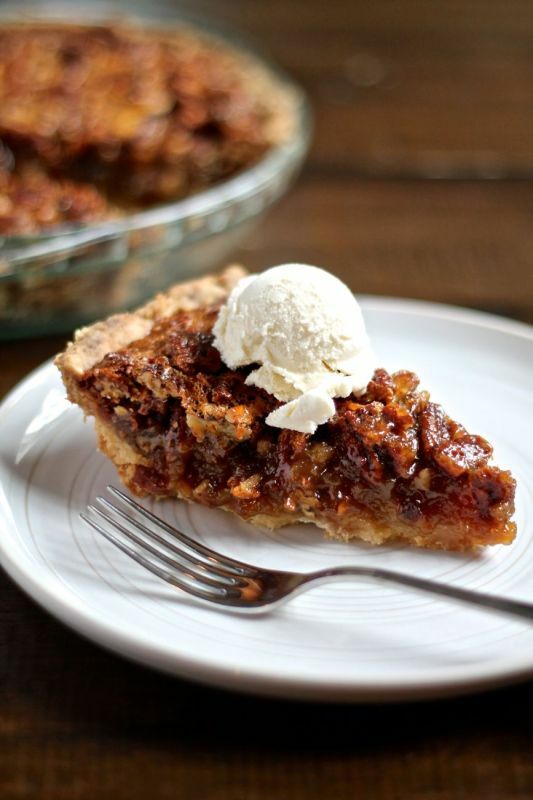 If you are making a pie filling that needs to bake, there is no need to pre-cook the pie crust.